to the beautiful women who raised us, watched us grow, and continue to shape each generation, we love you. we are grateful for your strength, wisdom, and guidance. to us, a mama is any woman who has been by our side - whether biological, by choice or through a cosmic connection. nothing can compare to what our mamas have given us, but to show our appreciation, we have rounded up our favourite gifts for mother's day this year. legacy ring | this ring celebrates both the legacy your mom carries, as well as the unbreakable bond you share. ps did you know this piece is engravable? mama script stud | we handwrote this tiny "mama" script as an ode to the women who create and nurture life. mama script necklace | this necklace was made as a thanks to all the mamas that have made us, raised us, and continue to support all we do. hiley bag | this bag is at the top of our wishlist for spring. the perfect bag to transition from day to night, we love the versatility of its removable strap. available at heel boy on queen w.
spa day @ home | spend a special & lazy day in with your mama! get some matching robes, put on a rom-com and pamper her with one of our favourite face oils. la belle mèche candles | these la belle mechè candles are our new favourite scent for spring. treat your mama to one of these natural and handmade candles, and let a fresh and beautiful aroma of rose, sandal and patchouli fill her space. flying together studs | inspired by a flock of birds flying through life together. your mama can wear these knowing that no matter how near or far, her little bird is always with her. 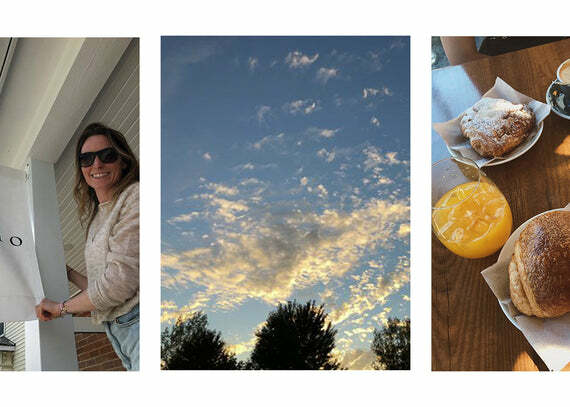 brunch @ the drake hotel | what better way to celebrate mom than with some blueberry scones & mom-osas at one of our fave brunch spots in the city. sign up for a pottery class together | spend some quality time together and try something new. we love the classes at Studio Dalmori. mama namesake ring | this ring celebrates one of the most important relationships you will ever have with a sweet engraving and bright white diamond. pear studs | symbolizing an unbreakable bond, the pear is a strong symbol of loyalty, grounding, and connectedness. a brand new addition to our fine jewelry collection. you and mama make a perfect pair. eleanor oliphant is completely fine | send mom off with a new book and a few hours of uninterrupted me-time. we love this charming book with a fierce heroine whose deadpan weirdness and unconscious wit make for an irresistible journey as she realizes the only way to survive is to open your heart. sleepy body lotion | the gift of sleep. every mama needs it. this lotion will take her right to dreamland for some much-needed rest. in need of more ideas? 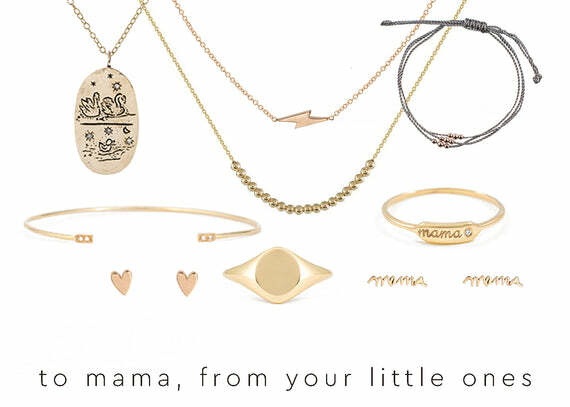 shop our "for mama" collection, or send us a message and we can work with you to come up with the perfect gift. you and your beautiful mamas a very special mother's day!